Twitter and the PGA Tour have announced an expanded agreement to live stream close to 140 hours of live competition on the social network for the 2018-2019 season, from 28 tournaments. Last year’s deal saw half the coverage at over 70 hours. The new multi-year deal—which will again see Canadians have access to live coverage—will stream the first 60-90 minutes of the morning hours of the first four rounds of the PGA Tour’s over-the-top subscription window, globally. 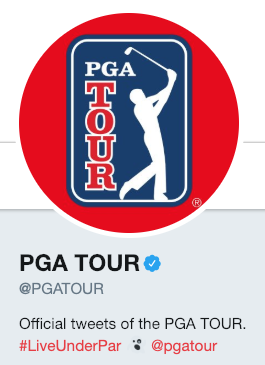 This time around, Saturday and Sunday morning coverage “will result in the most live PGA TOUR content ever offered on Twitter,” explains a press release. A new feature called Fan Vote Fridays will let golf fans vote on Twitter to decide from one of two featured groups to live stream on Friday coverage. Live streaming pre-tournament access will also showcase streams from driving ranges, weekly. The first Twitter PGA Tour live stream will take place at the Desert Classic in Palm Springs, California, on January 17-18. Season coverage will continue until the final TOUR Championship in August. Live streams will be available on the @PGATOUR Twitter account.